It doesn’t get any bigger than Hong Kong. The action is intense. The hits are big. The games are short. The running hard. 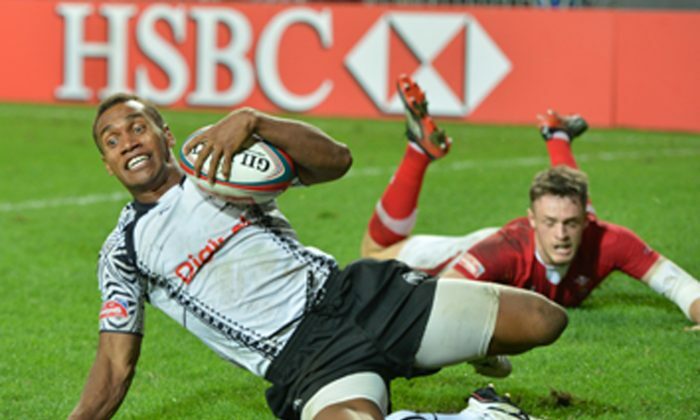 Fiji is back again – of course – to defend their back-to-back titles. If the Hong Kong 7’s specialists can make it three in a row they will have won their 15th title here. Their flair and penchant for free-flowing attacking rugby – led by last year’s hero Osea Kolinisau – is always exhilarating. And then there are the fans in the stands. The party atmosphere and magic that was once unique to So Kon Po has spread since the series kicked off in 1999 to the other tournaments in the HSBC Rugby Sevens World Series. Hong Kong Sevens, a fixture since 1976, embodies a real carnival air where everyone dresses up for the occasion. The fans are there for the party and for the action on the pitch. The players, apart from their inborn near-animalistic competitiveness to win, are there to thrill. And thrill they do. When a player gets the ball in space and is heading for the try line, the electricity is palpable. They visibly lift to the cheer of the crowd as adrenalin is heightened. It’s pure entertainment. The cacophony of sound simply adds to the spectacle. The riotous colours of the costumes where just about anything goes … the raucous atmosphere … the rugby 7’s … it’s all right here at Hong Kong Stadium this weekend. But, if you don’t have tickets to be part of the 40,000-strong crowd in any of the three days, it’s too late. They’ve long been sold out. Hong Kong is in the grip of rugby fever as the 2014 Cathay Pacific/HSBC Hong Kong Sevens kicks off on Friday, March 28.